When Jerry Garcia of the Grateful Dead died in 1995, Carl Asaro was devastated. A self-proclaimed Deadhead, Mr. Asaro held a memorial service and barbecue in honor of Mr. Garcia in his backyard, complete with 50 guests, candles and the band's T-shirts hung along the side of the deck. 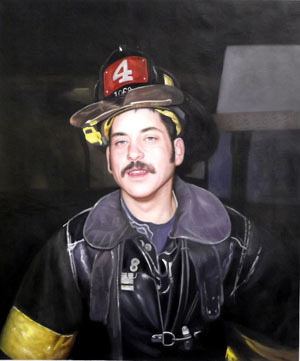 When his wife and six children realized that Mr. Asaro, a 39-year-old firefighter at the Ninth Battalion in Manhattan, was not coming home to Middletown, N.Y., they decorated his memorial service with some of the band's paraphernalia: T-shirts, Christmas ornaments, pictures. Songs like "Touch of Gray" and "Friend of the Devil" were played. It was a fitting tribute, they said, to his love for music. Mr. Asaro played the piano, the guitar and the piccolo. A firefighter since 1987, Mr. Asaro also enjoyed playing one on television. He was an extra in several movies including "15 Minutes," "The Siege" and "Frequency." He played a paramedic on "The Sopranos," "Law and Order" and "Third Watch." He dreamed of having a speaking part. "He always said one day he might go to Hollywood and be famous," said Heloiza Asaro, his wife. "And I said, 'Yes, you go to Hollywood and leave me here with all the kids.' He said no, I would be his agent."